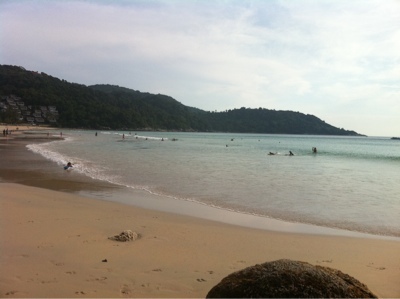 I have managed to sneak down for a swim each afternoon and as always the salt water is so invigorating. 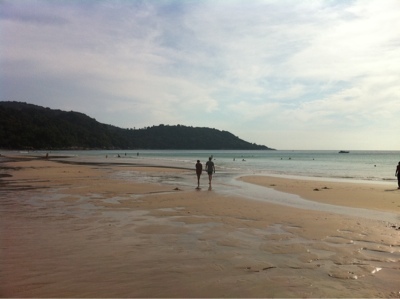 I am looking forward to the beaches at Phi Phi. 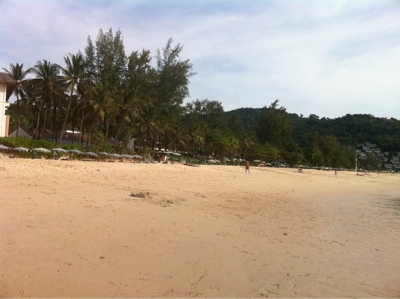 This is a few pics of Kata Noi beach which our resort fronts on to. It's spectacular!